Introduced in the United States in 2005, the Amazon Prime program extended unlimited free two-day shipping to customers who paid a yearly fee. Since that time, Amazon has expanded the program to include grocery delivery, video streaming, and other perks while simultaneously spreading Prime services to additional demographics and countries. Since 2005, Amazon Prime has become an increasingly common part of American life, especially among young and affluent shoppers. Prime membership is on the rise not only in Amazon’s home country of the United States, but around the world as they continue to expand and update their business for a global market. It is no secret that Amazon runs on a tight profit margin, yet the company has no qualms investing in potentially risky projects. Prime might be taken for granted a dozen years later, but there was some uncertainty at the time of its launch. It was unclear whether Prime would draw customers, since slower free shipping on orders of $25 or more was available at the time. According to Amazon CEO Jeff Bezos in 2005, Amazon Prime was launched to reduce the complexity of ordering by making two-day shipping “an everyday experience rather than an occasional indulgence.” His foresight is proven by the sheer popularity of the program. Rather than keeping to the United States, Amazon has spread to major countries around the world. The United Kingdom and Ireland, Canada, France, Germany, Italy, Spain, the Netherlands, Australia, Brazil, Japan, China, India, and Mexico all have their own location-specific retail website separate from the original Amazon.com. Shipping to other countries is an option for some products as well. More exotic experiments have found their way into the world of Amazon. The 2014 Amazon buyout of live-streaming giant Twitch shows a willingness to invest in growing industries. This does not mean that established industries are off limits. Amazon is using Prime Pantry, AmazonFresh, Amazon Go, and its acquisition of Whole Foods to transform how customers buy groceries. Acknowledging changes in consumer behavior and the economic landscape is beginning to pay off for both Amazon and for its customers. Amazon Prime was launched as a simple shipping program. Years later in 2012, it was still seen as a risky project because of its substantial annual cost of over a billion dollars in shipping alone. Amazon has since added Prime Video (a service similar to Netflix), free e-books, limited music streaming, unlimited photo storage, and more. These features have made Prime an incredibly popular loyalty program. Investment banking firm Cowen & Co. estimates that nearly 50% of United States households have at least one Prime subscription under their roof. In addition to taking advantage of these benefits, Prime members also bring more of their business to Amazon than non-members. Data from Consumer Intelligence Research Partners indicates that Prime members spend twice as much per year with Amazon than non-Prime members ($1,400 vs. $700 average), numerical proof that Prime has an impact on consumer spending habits. No wonder Cowen & Co. describes the service as “the most important driver of the retail business longer term.” Increasing new Prime subscriptions means more money for the company far beyond the initial fee. Prime is popular among all US citizens, but the younger and more affluent demographics tend to prefer the service over others. Cowen & Co. reports that consumers ages 18-24 and 25-34 subscribe to Amazon Prime at a rate of approximately 59%, whereas only 37% of those 65 and older subscribe. The cost of Amazon Prime — $99 in the US — seems to turn away some budget-conscious individuals. 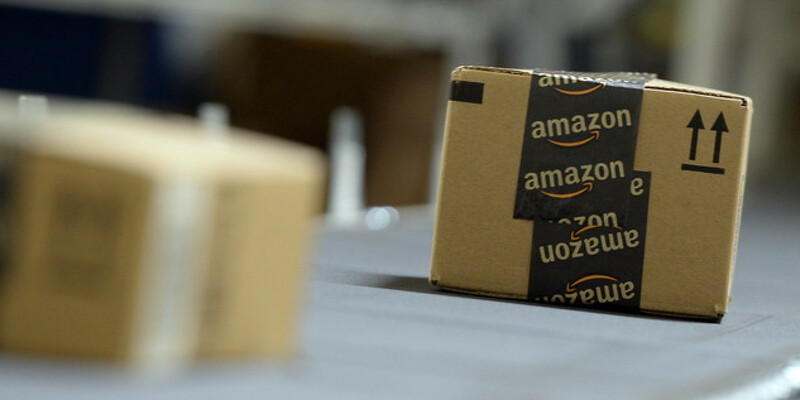 When larger Amazon orders still yield free, if slower, shipping, it is more difficult for lower income shoppers to justify the membership fee. Unless Amazon adds more benefits or reduces the initial fee, the Prime income disparity will continue. Amazon was able to balance the risk of a generous loyalty program with plans for expansion. Instead of eating the costs and moving on, they added further benefits to expand their customer base. Despite an uncertain beginning, long-term focus allowed them to fulfill their goals: more customers and more convenient online shopping. The United States is not the only country that Amazon wishes to serve with the benefits of Amazon Prime. The business giant added another country to its roster by expanding delivery services to Australia in 2017. Two-day shipping, perhaps the most significant component of Prime membership is unconfirmed, but expected soon. Australian retailers are bracing themselves for the changes that Amazon will bring to the economic landscape. The arrival of Amazon in Australia is likely to reduce the number of malls, as department stores have generally been some of the first to suffer. Smaller retailers, however, may find the coming of the Internet giant a blessing in disguise. Instead of selling on their own websites, they can use Amazon’s seller platform to reach a larger audience. However, businesses of all sizes will have to adjust to the lower prices that Amazon can afford to offer. The company’s massive amount of resources allow them to drive down prices for long periods of time, which brings new challenges to smaller businesses that wish to compete. Efficient Internet-based business will reshape how Australians shop, as well as raise the standard of delivery-based shopping around the country, just as Amazon has adjusted customer expectations for fast and inexpensive service elsewhere in the world. Other businesses must decide if they should compete with Amazon directly or attempt to satisfy customers in different ways, like with face-to-face customer service, or the sale of local goods. Amazon has chosen to keep plans for future expansions a secret. With their explosive growth and bold business decisions it can only be assumed that more countries will find themselves under the black and yellow banner. Australia remains the latest example of how the Internet can transform business landscapes. Geography isn’t Amazon’s only focus when it comes to expanding its reach. By reaching into industries, new and old, Amazon expands its trademark efficiency to risky new endeavors. In 2014, Amazon’s acquisition of Twitch for nearly $1 billion brought the Internet giant into a new industry: live video streaming. Twitch is a huge platform, accounting for 40% of live-streamed content and “nearly 2% of all traffic in the U.S. during peak hours” in 2014. It has only grown since then. To capitalize on this popularity, Amazon has created Twitch Prime, a service that gives viewers access to an ad-free experience, a free monthly subscription to apply to their favorite channel, promotional items for popular video games, and an assortment of cosmetic user perks. Amazon Prime, already popular among younger people, pairs logically with Twitch’s young, tech-savvy demographic. Maintaining popularity with this group is a part of Amazon’s business strategy of market penetration, in which the company attempts to produce more revenue in areas where they already operate. Twitch itself is closely tied to the growing video game industry and the related world of eSports. 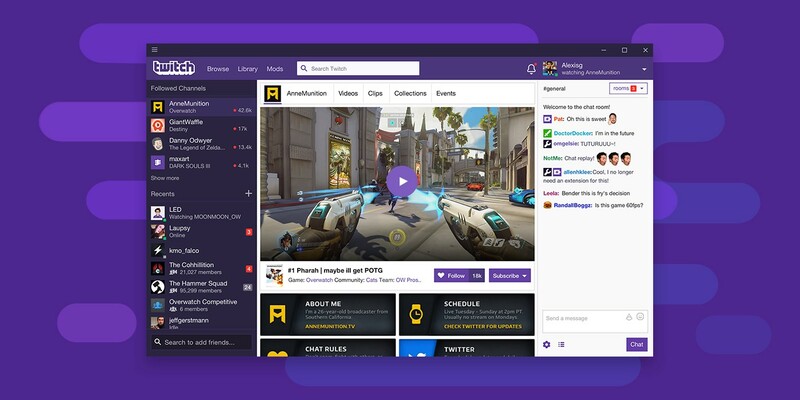 Aside from direct customer support, Twitch and its streamers often receive direct sponsorship akin to traditional sports in which advertisers wish to increase brand recognition among viewers. If live streaming and eSports become as widely recognized as their proponents desire, Amazon’s investment could pay off significantly. Increased viewership for eSports means increased ad revenue and increased exposure to Amazon services. By focusing on a new industry, Amazon has placed itself on the forefront of potential market growth. Instead of attempting to create a direct competitor like YouTube Gaming, they purchased the biggest independent streaming service and molded it in their image. This strategy is not available to most businesses. In Amazon’s case, investment is key to industry expansion. In another attempt to expand revenue and attract new audiences, Amazon has decided to modify its video streaming services. While currently available exclusively to Prime members, Amazon Prime Video may become available to anyone willing to watch advertisements, similar to competing services Hulu and YouTube. A try-before-you-buy approach to video streaming could drive up Amazon Prime membership. Customers who purchase Prime after demoing Prime Video will, on average, spend more money on Amazon products with the convenience of free shipping. Even customers who use the monetized version of Prime Video may purchase more items from Amazon as a result, or end up relenting and purchasing the full service. Anything that brings users into closer contact with Amazon and its services is likely to increase their usage of Amazon.com. Regardless, this change provides Amazon with desirable ad-space without compromising the design of their primary website. Amazon was responsible for half of global ecommerce growth in the past year, making it an attractive option for advertisers. Extending advertising to their Prime Video services would create a significant platform for advertisers keen on taking advantage of Amazon’s success. If Amazon carries through with this change, Netflix would remain as one of the last major services that uses an ad-free subscription model exclusively, increasing prices instead of allowing ads to remain competitive. Amazon also hopes to compete with Netflix through the creation of original programming. The recently announced Lord of the Rings TV series is something Amazon hopes will become the next Game of Thrones. Whether this will be the case has yet to be seen, but it illustrates the lengths to which Amazon will go to support its new projects. In this instance, hundreds of millions of dollars to produce a single show. In another endeavor to expand into new industries, Amazon acquired Whole Foods for $13.7 billion in 2017. Instead of simply resting on the grocery chain’s prior success, Amazon immediately began restructuring the company and cutting prices. After the price cut, the cost of a sample basket of food from a Brooklyn Whole Foods went down from $97.76 pre-acquisition to $75.85 post-acquisition. In addition, Whole Foods goods are now offered on Amazon.com, AmazonFresh, Prime Pantry, and Prime Now. To make a mark in an already established field, Amazon applied the same kind of efficiency that has marked their other endeavors. Centralized decision-making means Whole Foods stores are no longer able to independently stock local foods, but according to Amazon, that is a sacrifice worth making. To implement the many changes in store, Amazon has increased staff numbers in Whole Foods stores across the nation. This is another example of Amazon fully embracing the cost of their innovations. Without a doubt, Amazon has become a significant force in the business world. Through innovation and well-managed risks, the Internet giant has made a substantial, lasting impact on several areas of business. Amazon prime has redefined the idea of a customer loyalty program, with rising importance to both Amazon and its customers. To maintain momentum, Amazon continues to add benefits and options to their services to cater to different audiences around the world. The continued popularity of Amazon Prime remains an example of how effective loyalty programs can be run. To spread services like Amazon Prime, Amazon has expanded around the world, bringing its brand and convenience to markets that might otherwise have limited shipping options, like the fairly isolated country of Australia. Amazon’s impressive geographic expansion is matched by their reach into new industries. Amazon’s acquisition of Twitch gives live streamers and their viewers a significant new reason to subscribe to Amazon Prime, further bolstering Amazon’s reach to one of its strongest demographics, young people. Amazon has shown that their values of efficiency and customer convenience can reform established services as well as new ones. The generous use of their resources has given rise to growing programs like AmazonFresh and Prime Pantry. These programs are not merely a means of profit for Amazon, but also a way to challenge old business norms and further increase their brand awareness. In all these endeavors, the underlying principle is clear: Amazon believes that to succeed is to innovate. In no industry do we see the internet giant resting on its proverbial laurels. Instead they are constantly reinvesting resources to expand their reach.